This slim, sleek, semi-rugged case provides complete user interaction with your device's volume controls, camera, and touch-screen functions. 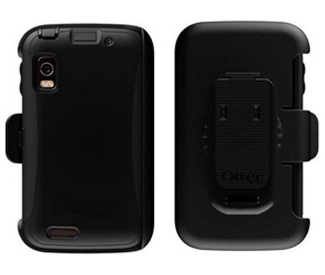 The phone in its entirety is protected even during use as all surfaces are covered at all times. Sync/charge, Headphone jack, volume controls, sleep/wake, home buttons and proximity sensor all accessible and fully functional through case. The Silence switch is not usable through the case. Case includes a swivel belt clip.